The Trans Australian Railway Line was joined on October 17, 1917 and as the 100th anniversary approaches, we take a look how the railway line evolved over the years. The Trans Australian Railway is a 1693km rail line that stretches from Port Augusta South Australia all the way to Kalgoorlie Western Australia, crossing the Nullarbor Plain. It includes the world’s longest stretch of dead-straight track, a 478km stretch between the 797km post west of Ooldea and the 1,275km post west of Loongana. The Trans Australian Railway Line was an important freight route between the eastern states and the western side of the country. The first passenger services on the route were known as the Great Western Express. 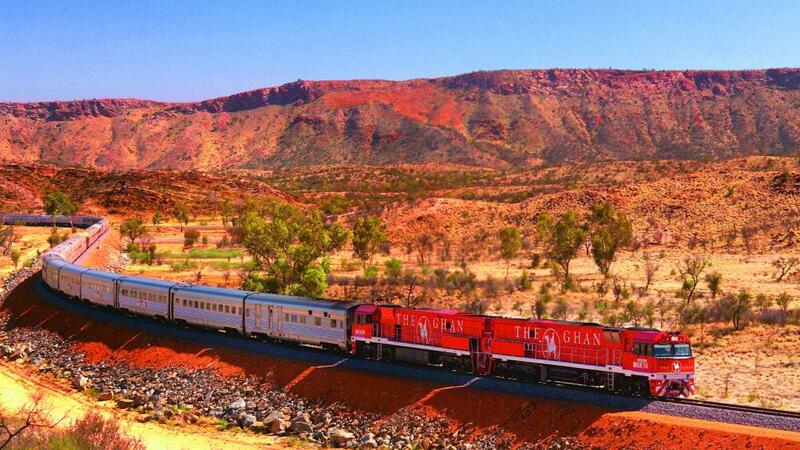 Today there are two passenger services who still use the line including The Ghan between Tarcoola and Port Augusta and the Indian Pacific, for the entire length. The railway line was originally constructed from 2.5 million hardwood sleepers and 140,000 tonnes of rail until 1956 when Commonwealth Railways began testing the use of concrete sleepers. From 1960 to 1961 19 Swedish-designed concrete sleepers were added to a test strip at Wirrappa Station Yard. In 1962 another 6,000 block type concrete sleepers were produced at a pilot plant in Port Augusta and introduced between Winninowie and Stirling North. The main challenge faced by the new sleepers was how to fasten them to the rails. A variety of fastening were trialled in this period with further testing into 1963. It wasn’t until 1970 when the large scale use of concrete sleepers really began. CR.1 prestressed concrete sleepers were ordered for the Port Augusta to Whyalla railway. Upon completion of the Whyalla line in 1972, the Trans Australian Railway was ordered to be re-sleepered. Plants were set up in Parkeston and Stirling North, producing approximately 500,000 sleepers annually. Half of all sleeper production was used to upgrade the Trans Australian Railway.